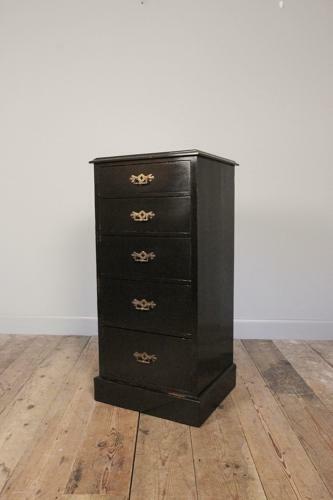 A neatly proportioned 19th century Pillar Chest, having a black lacquered finish. With an arrangement of 5 graduated and generous sized drawers, all retaining the highly decorative brass handles and Mahogany lined. Having a moulded top and raised on a plinth base. English, Circa 1870.